the rabbit with a green bow: Stag party. ...with some people from work and my friend Nora. The party was in a hall with sweet lamps and old furniture. 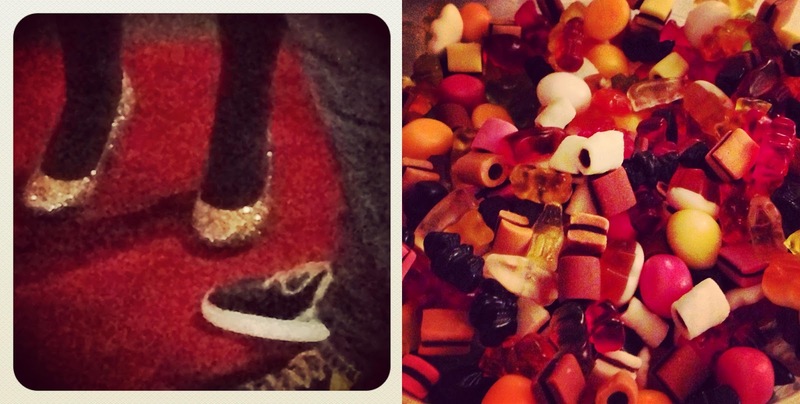 The bride had wonderful glitter shoes and we had sweets.